Getting kids to help around the house can feel like pulling teeth. They sure can help make the mess but when it is time to clean up all the sudden they are too tired, have homework, or just drag their feet. So frustrating, right!? Especially as a single mom, when all of the house work falls on you already! 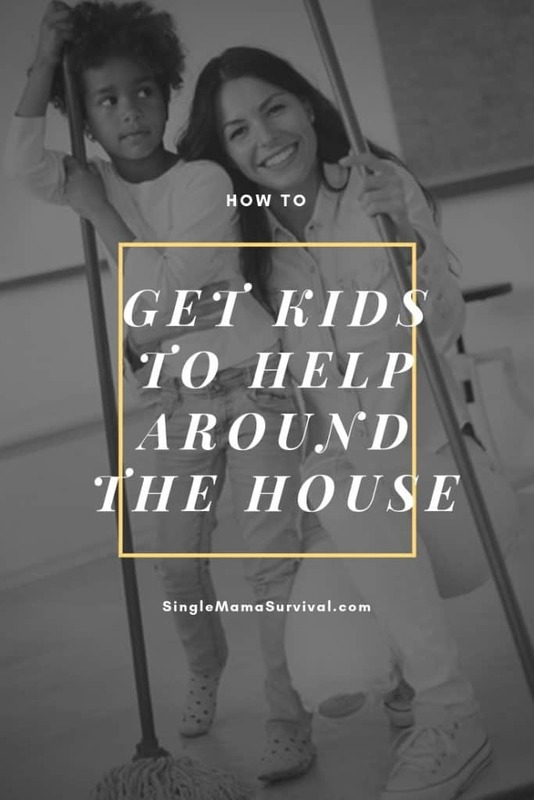 So, how can you get your kids motivated to help a little around the house? 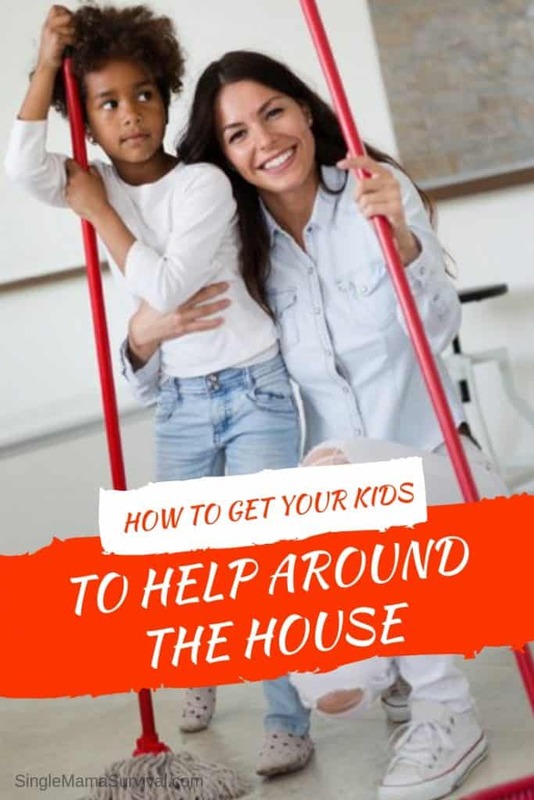 These simple tips will help you get your kids to help around the house. Sometimes the best way to get chores done is to break the chores down into smaller chores. Telling your child to clean their bedroom more often than not leads to her sitting in her room for hours playing with toys. By breaking the task of cleaning their room down into smaller chores on a checklist you can make staying on task easier and help with that feeling of overwhelm and not knowing where to start that can make kids less than cooperative. Each child has different abilities one-way to help get your kids to help around the house is to give jobs that are fit for the child. Play to your child’s strengths and interests to find chores that provide your child with a contributing task that is fit for them. If your child loves to do the dishes, take advantage of that and give them that chore. Younger kids make amazing little dusters of anything at their level when handed a feather duster. Teach your kids new habits that help keep your home clean. Simple habits to instill in your child can be everything from taking dishes to the sink after meals to tossing things in the hamper or picking up toys they walk past and throwing in a basket instead of kicking them across the floor. These small things make a big difference when they become regular habits. Make chore time fun and exciting to get kids to willingly participate. Toss on some music and blast it high. Get the whole family to join in at once dancing and singing while they clean. This helps connect happy feelings with everyday chores rather than a sense of dread making it easier for kids to participate without a fight. Kids thrive on approval. Taking the time to provide positive feedback can help get stubborn kids excited to help around the house and get them up and helping willingly more often. Tell your child how good of a job they are doing and how much you appreciate the help they gave you around the house. These simple tips will have your whole family pitching in to get the household tasks done!